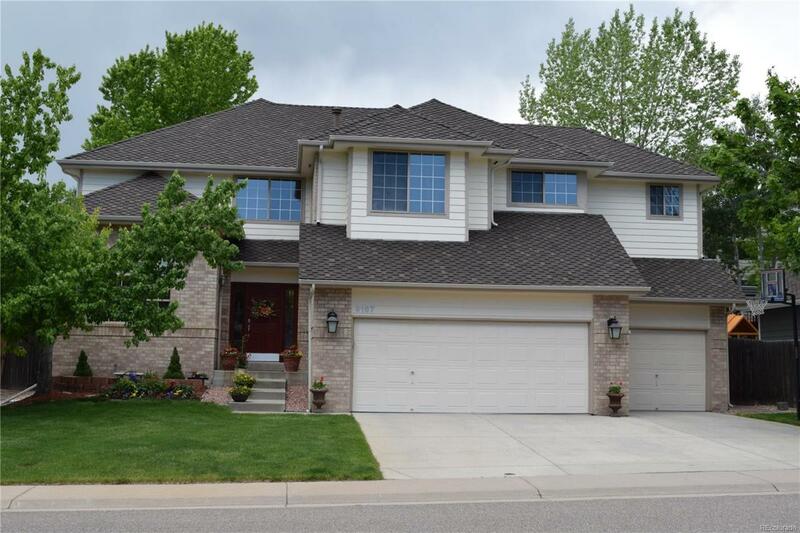 Fabulous house for sale @ Park Meadows , Lone Tree, CO your family can enjoy an outstanding quality of Life in one of Denver's best locations. Minutes away from Park Meadows and Charles Schwab! Easy access to I-25, C-470, & Light rail. This home is move-in ready and has true pride in ownership. Come and enjoy the privacy, the serenity, & the convenience this residence has to offer! Remarkable 5 bedrooms, 4 baths, office/study with three car garages! This home features large bedrooms- 4 bedrooms upstairs and 1 in the basement, a huge basement. Family room features open ceiling and a gas fireplace, huge picturesque windows. New roof and newly painted outside. Fenced backyard with a new 16X16 deck with pine trees surrounded for privacy. Kitchen is huge, with all kitchen appliances, stainless steel refrigerator/sink, granite countertop, pantry, and eat in space, also a formal dining room. Main level laundry with utility sink and storage space & family room, stairway, kitchen just stunning.